During the Saitama Super Arena stop of their ongoing EPCOTIA tour, NEWS announced a new single “BLUE” and their 15th anniversary live to be held at Ajinomoto Stadium. 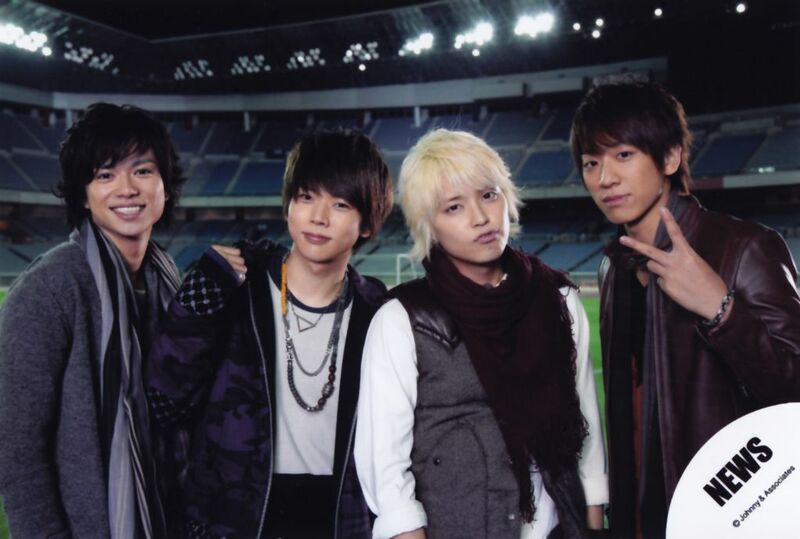 Member Tegoshi Yuya is appointed as the main caster for NTV’s coverage of ‘FIFA World Cup’ which will start on June 14 in Russia. “BLUE “ will serve as theme song, representing both the color of the Earth and the image color of the Japanese national team. The new single is a fantastic soccer song themed around “blue”! Opening up with a glorious chorus, this spirited fight song conveys the “bond” of NEWS, which is celebrating its 15th anniversary this year. The powerful joint singing and Nippon call in the chorus are a must-hear. It will be released on June 27. “NEWS STADIUM LIVE 2018 ~15th Anniversary~” at Ajinomoto Stadium will be held on August 11 – 12. Check out the details of the new single and short preview below.